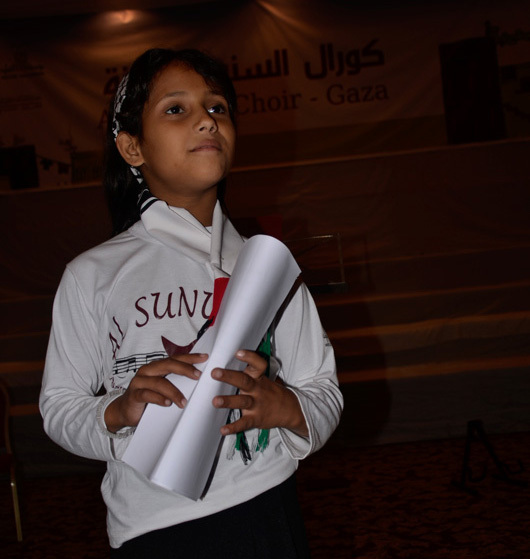 The project was implemented in Gaza from 2010 until 2015, benefiting a total of 560 children aged between 4 and 16 years old. 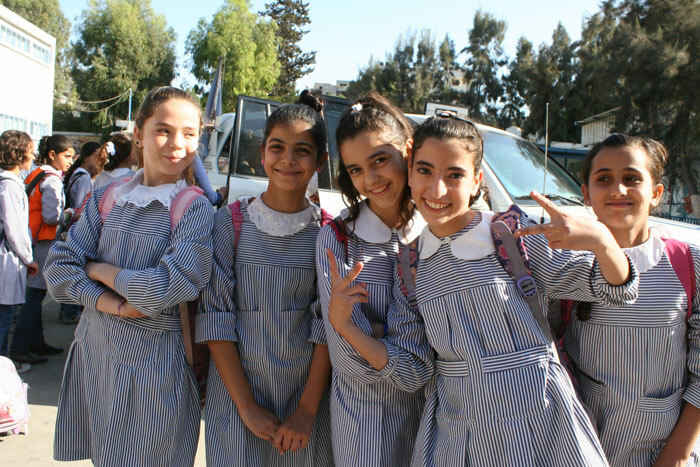 10 choirs gathering children from UNRWA schools of Al Ramel, Asma, Salah Eddine, El Chatti and El Zeitoun, church schools such as Orthodox Church school and El Aila el Moqadassa school and American private school. 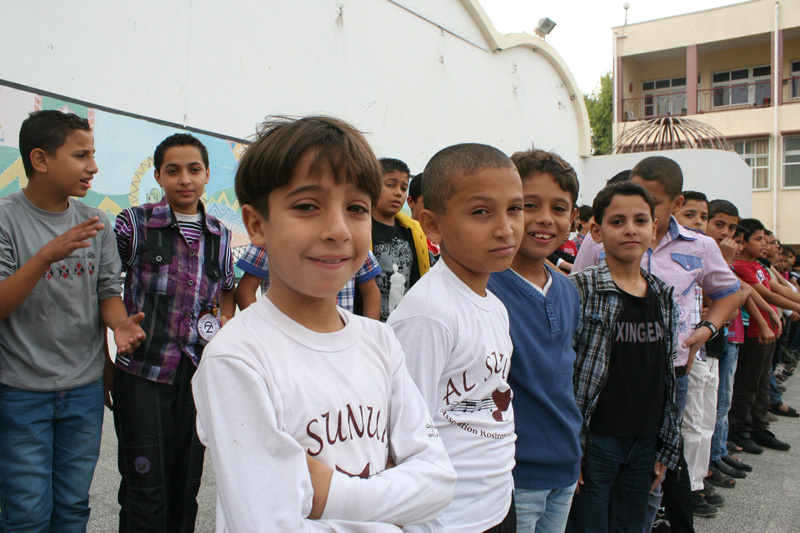 2 choirs gathering 30 visually impaired children within the Al-Nour Rehabilitation Centre. The goal was to integrate children with disabilities into society via music and give to most talented of them equal opportunity to enter the Conservatories to explore and develop their talent. During the project, Al Sununu choirs participated in concerts organised in honour of AER’s visits as well as other occasions. At the end of each year, a graduation concert was organised to award students with a certificate of completion. During the project, Al Sununu choirs and teachers were invited to participate in workshops and trainings. – October: « Right to life » educational workshop involving 30 Al Sununu children and disabled children for shared activities such as painting, singing and embroidery. 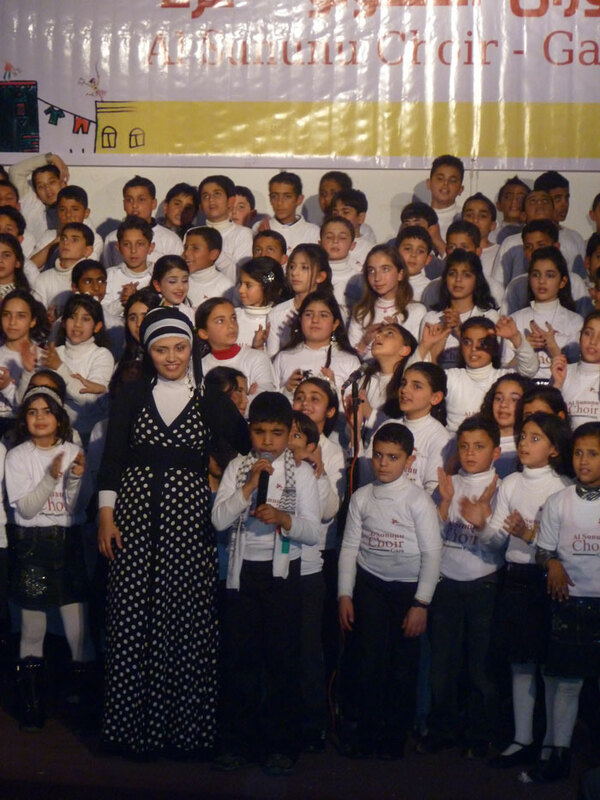 – January: Red Crescent and Qattan Foundation cultural and social workshop with all Al Sununu choirs. 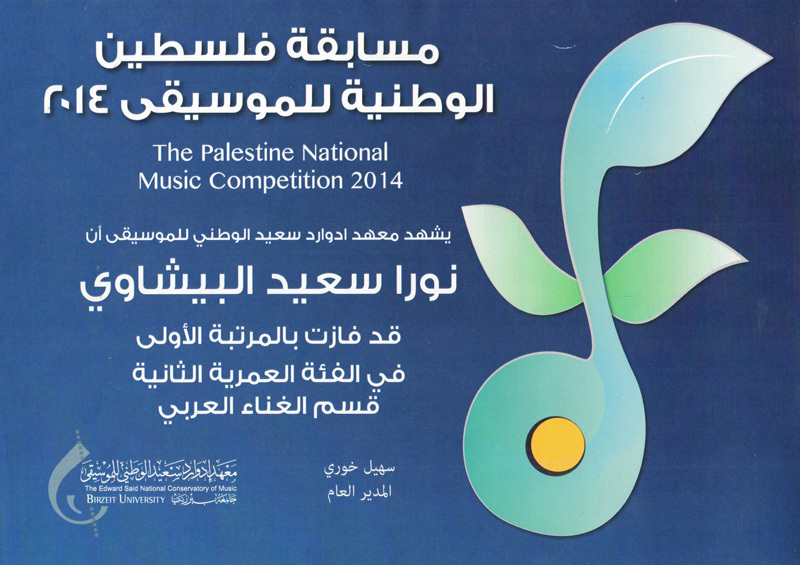 – June: ESNCM music workshop involving Al Sununu music teachers and 40 children. – November: « Save the Children » art paper cutting workshop involving 20 children. – December: « Save the Youth Future Society » art of photography workshop involving 25 children. With a strong voice, full of hope and life, Kareem has broken down the barriers imposed on him, both by his visual impairment and by living in the Gaza Strip. Ever since he was a toddler, he loved to sing: “I used to sing while using a bottle to make musical rhythms.” Karim’s strong voice and talent were discovered by his music teacher. They worked together to strengthen and improve his vocal abilities. Kareem started to perform at community events, in universities, community centres, and at special events hosted by organisations based in Gaza. He soon came to the attention of our Association, which selected him for Al Sununu. 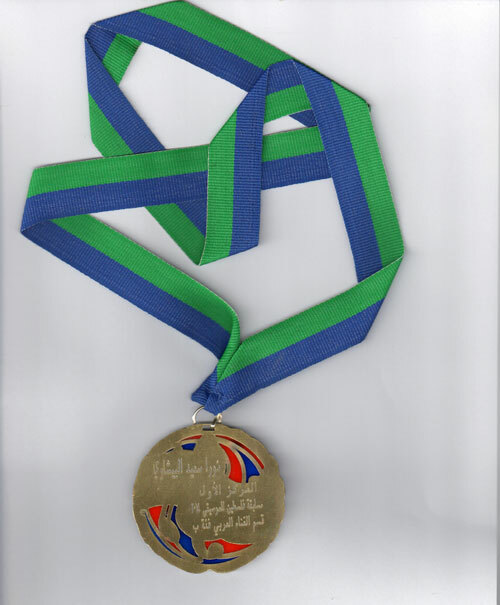 Kareem won first-place at a music competition, granting him a full four-year scholarship to the prestigious Edward Said National Conservatory. 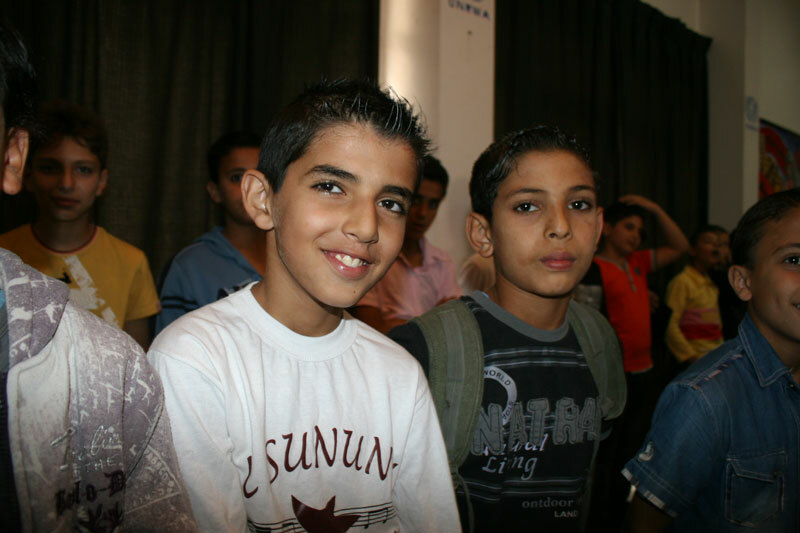 “Kareem won the scholarship based on his competence”, said Arab Mohamed, the AER project coordinator for Al Sununu in Gaza. His remarkable talent, supported by his teachers, choir, and community, will ensure that Kareem has a promising future in the world of music.